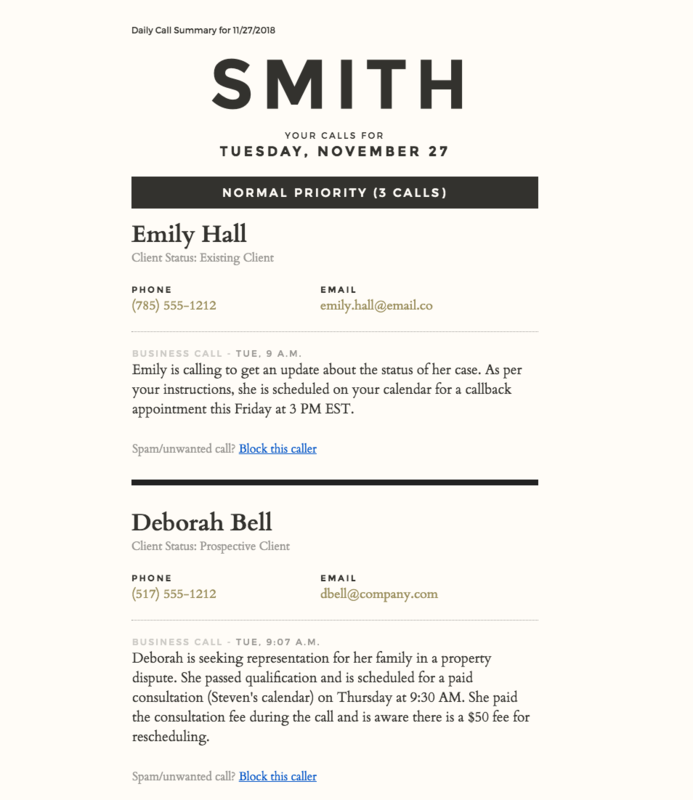 At the end of each business day, Smith.ai will send you a summary of all your calls via email. Smith.ai's daily summaries can go to a single address only. Typically, this is the account holder's email. If you want this to go to more than one person, please jump ahead to Setting Up a Distribution List below. Note: You can only have as many routing choices as routing numbers associated with your account. Please see our pricing for more information. To make incoming emails reach multiple recipients, we recommend managing a distribution list on your side of things. For example, many of our clients have "smith.ai@lawfirm.com" as their notification address, from which they manage who receives call summaries. See Creating a Group with a Google-hosted domain. Are you using Exchange/Office 365 for your business? See Managing Distribution Groups in Exchange. If you are using another platform for your business' email infrastructure, please let us know and we will add the link here. When you have created your group, tell us the newly-created email and we'll use it for your notifications.